Criss-cross the borders of Montenegro, Kosovo, and North Albania on a fully-guided cycling tour. 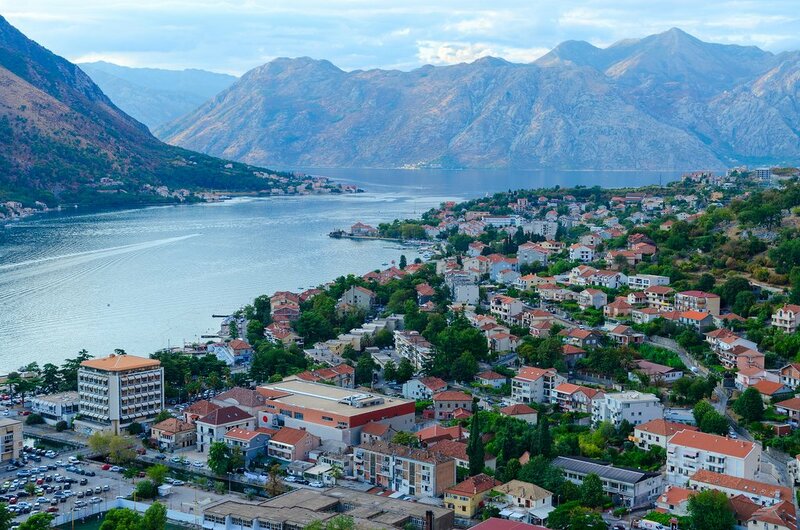 Visit the World Heritage-listed medieval town of Kotor, the former Royal Capital of Cetinje, and catch the Berisha Ferry to Fierze, one of the most scenic inland ferry journeys in the world. 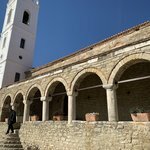 The tour ends in southern Albania at the World Heritage-listed town of Berat. Arrive in Tirana where you will be met at the airport and transferred to your hotel. 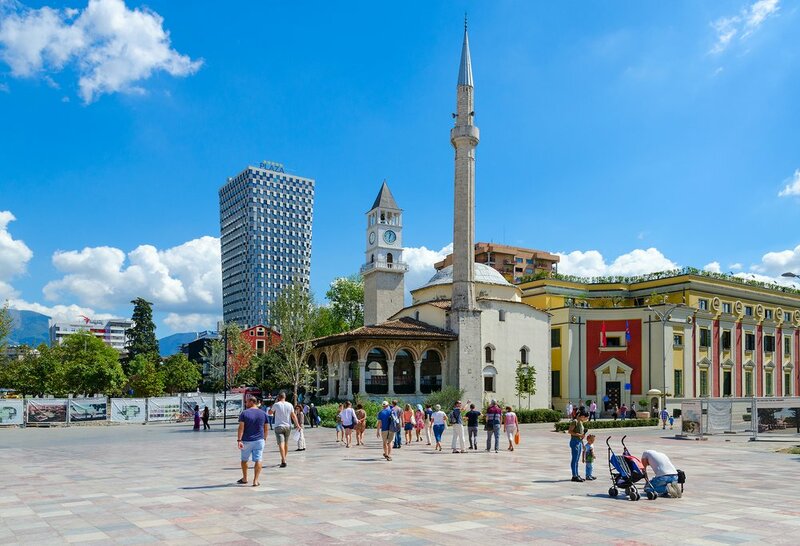 Spend the next day exploring Tirana with a local guide. 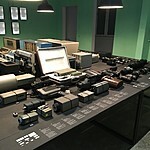 Take in the 'secret' nuclear bunker built by the communist regime in the 1970s, the House of Leaves secret police museum, and the National Museum of History. Today you will cycle north on the highway to Kotor in Montenegro. Along the way, stop at sites of interest and even a swim if the weather is good. 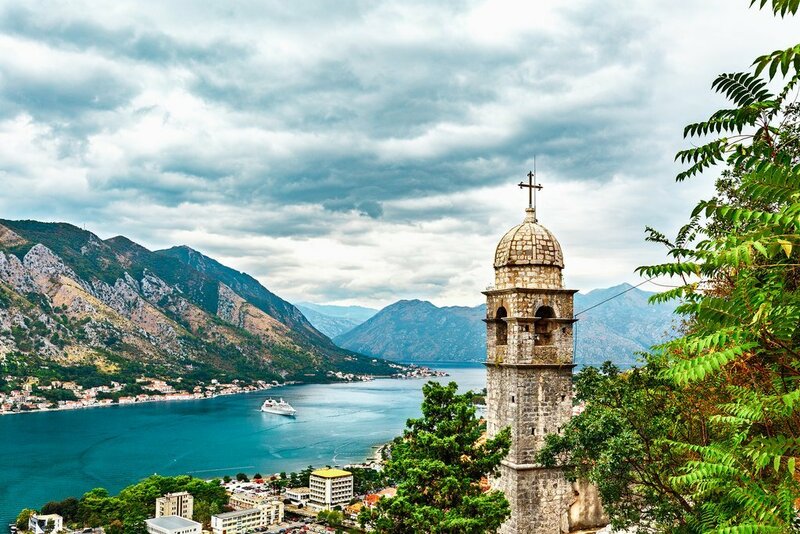 In the afternoon, explore the UNESCO World Heritage-listed old medieval town of Kotor with a local guide. This walled city was an important commercial and artistic center of the Venetian Republic in the late 14th-century. 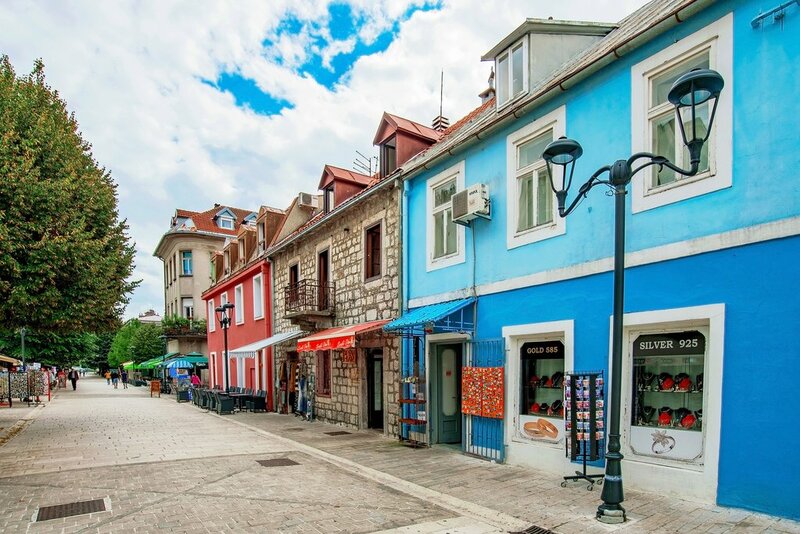 After a relaxed start to the day, you will ascend into the mountains behind Kotor to the old Royal Capital of Cetinje, where a local guide will show you around. From Cetinje, ride downhill to Lake Skadar, the largest lake in Southern Europe. Spend the night in the lakeside village of Virpazar. This is a wine region, so it should be a jolly evening. Enjoy a spectacular day’s ride along the western shore of Lake Skadar. You will have a picnic lunch, as there is little development here. The road has a fair few ups and downs, but nothing too challenging. The final stretch, as we leave the lake behind, is a long descent. At the bottom of the hill, load up your bike and finish the day in the support vehicle. Our overnight stop, Ulqin, is an ethnic Albanian city with an impressive fortified old town overlooking the Adriatic. Today you will cross the border from Montenegro back into Albania. 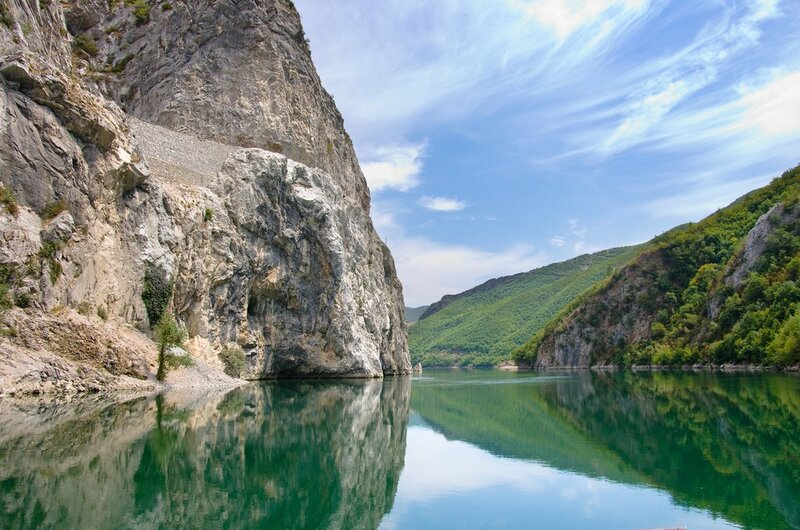 Drive the first stretch to Shkodër, then enjoy an easy ride to the dam at Vau i Dejës. The rest is up and down to our overnight stop in Koman. This may feel like the end of the world, but it sets us up nicely for tomorrow's ride. Today you will catch the Berisha Ferry from Koman to Fierze. The Lonely Planet rates this as one of the most scenic inland ferry journeys in the world – and we agree. After disembarking, you will cycle to the lunch stop at a small village restaurant. 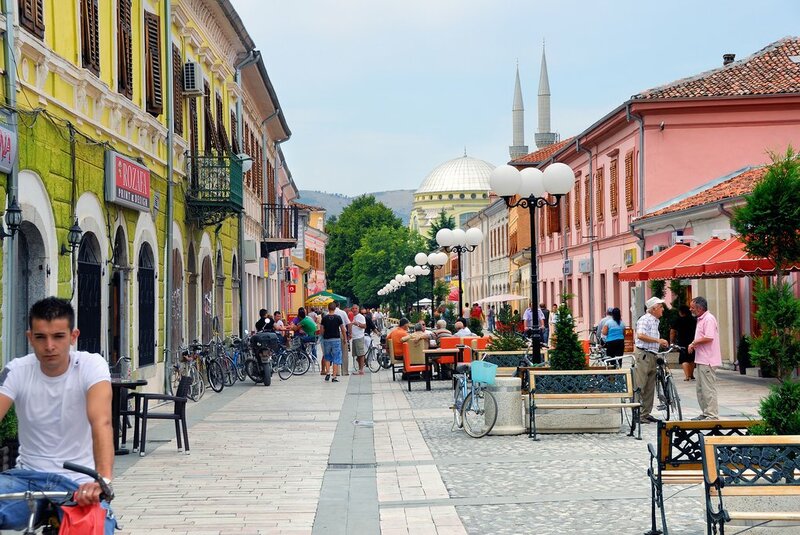 Then climb to the border with Kosovo, after which it is downhill all the way to the historic Ottoman city of Gjakova, where we will overnight. Today you will see some special scenery. Transfer south to the village of Zhur, where the ride begins, then climb slowly up to a tiny border crossing with Albania. You will descend about 15 miles (25 km) through a truly spectacular valley before joining the main Albania-Kosovo highway. 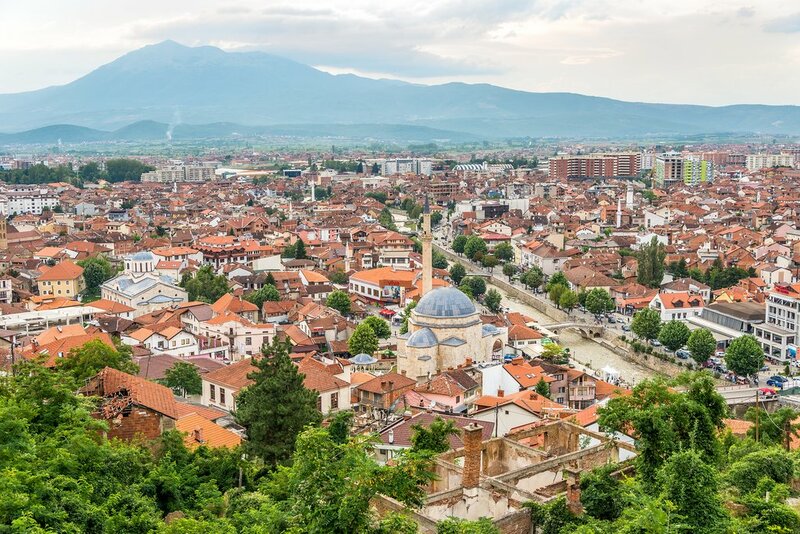 Here you will jump on the support vehicle and drive the short distance over the border to the historic city of Prizren in Kosovo. 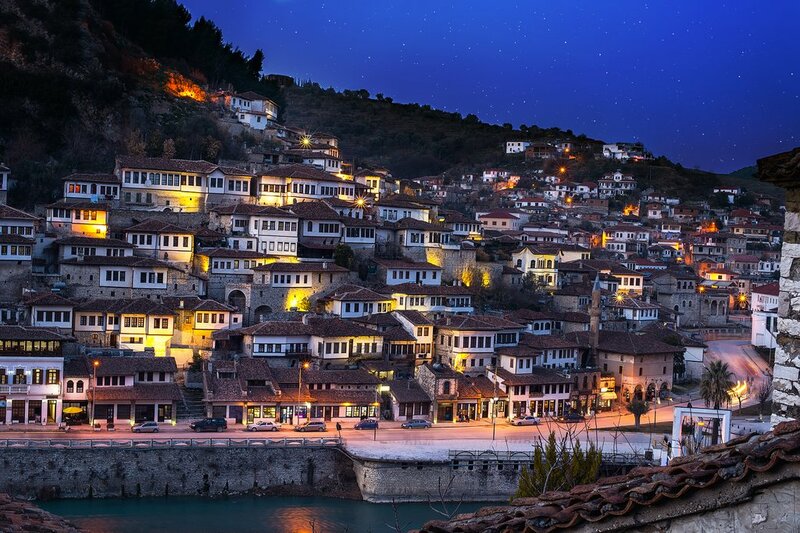 Prizren is a charming city with lots of history. Take a day off from cycling to explore the city, or ride through the Sharr Mountains to the east. 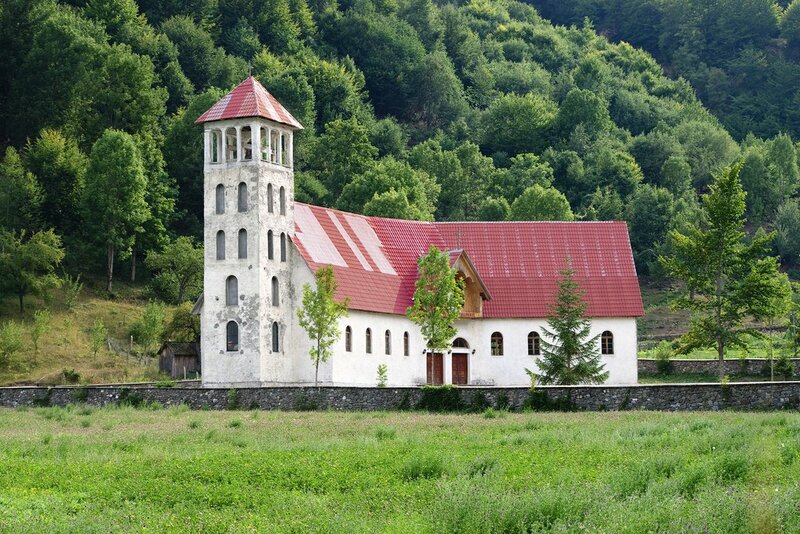 Today you will transfer back to Montenegro via Peja, stopping en route at the 13th-century Serbian Orthodox Monastery at Decani, which is simply incredible. The border crossing is at the top of a mountain pass - take the support vehicle up, and cycle down the other side to the city of Rozaje – a strange, forgotten corner of Montenegro. Drive on via Berane to Plav, where you will cycle through the tiniest border crossing ever into Albania. Overnight in the mountain village of Vermosh. An epic day, and your final day of cycling. The first part of the ride is almost exclusively downhill, until the village of Grabom, from where you will tackle a big ascent. 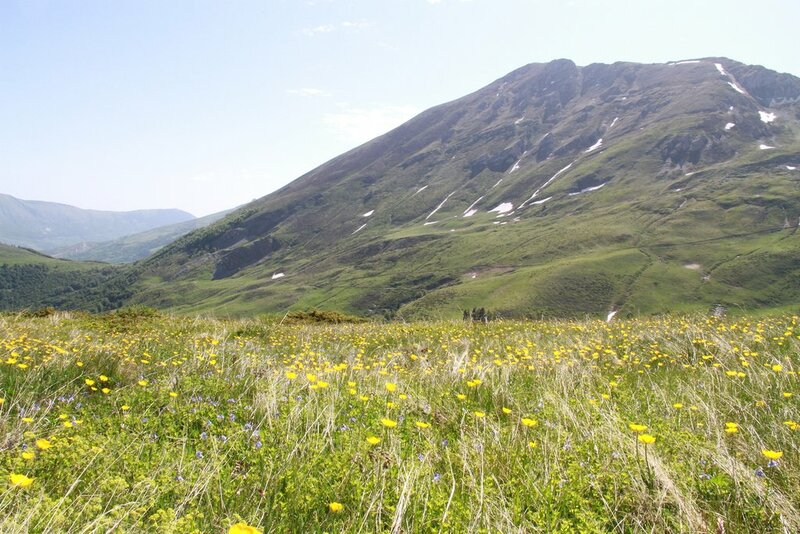 At the main road, you will take the support vehicle for the last stretch south to the city of Shkodër. 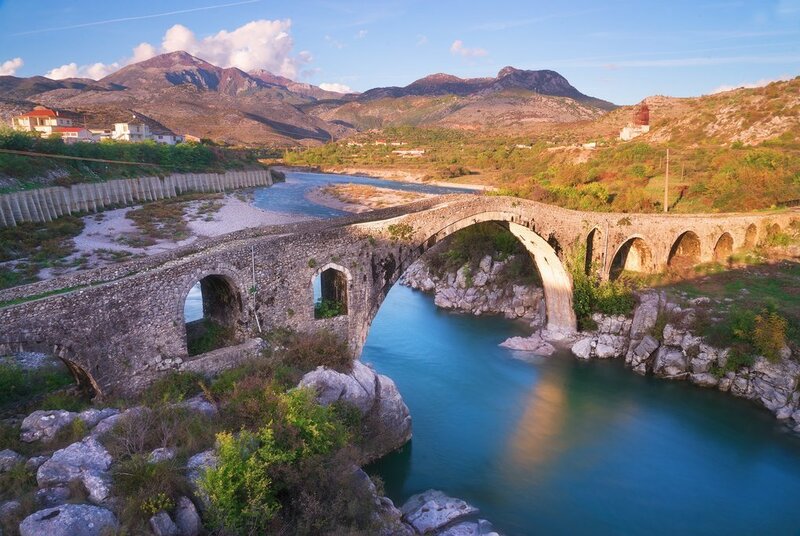 Today you will transfer to either Berat to start a tour of South Albania and Macedonia or straight to Tirana. 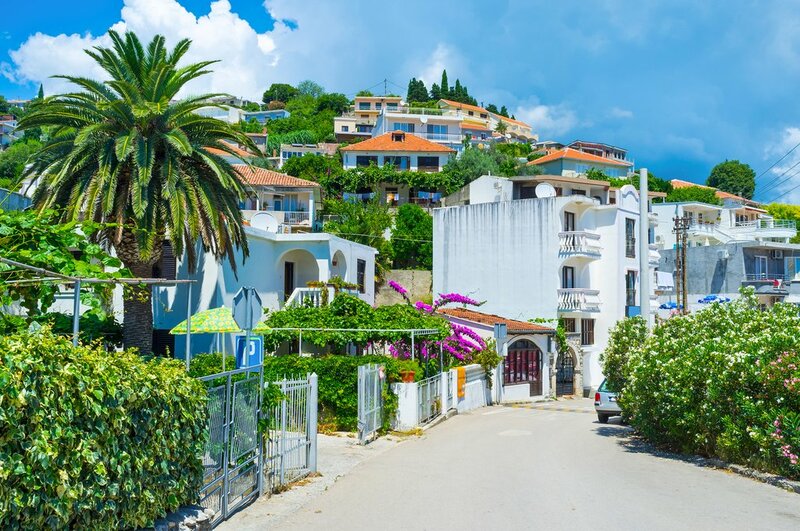 Alternatively, you could cycle south on scenic back roads through rolling countryside (nothing steep) to the historic city of Kruja and then transfer from Kruja to Tirana by vehicle.